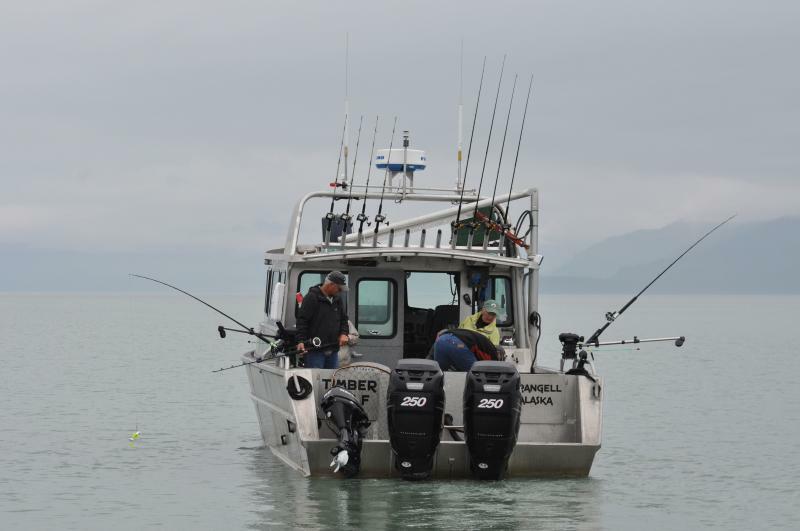 The Timber Wolf was custom built in 2008 by Svendsen Marine in Wrangell, Alaska. 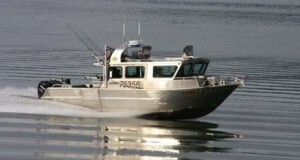 At 35′ in length and over 11′ wide, she was designed specifically for chasing fish in comfort. From the moment you step onboard, you will immediately see the workmanship and design that went into the build of this all-aluminum charter boat. The spacious back deck affords you the room needed to fight and land Alaska’s most sought-after species. Fish holds beneath the deck are layered with ice to keep your trophy catch cool before heading to the processor. After fishing, enjoy the numerous creature comforts the cabin provides. A dining area with seating for four and a forward bench that accommodates two more allows groups of six to relax in comfort after a full day of sport fishing. A well-furnished galley with coffee maker, refrigerator and plenty of counter space make it easy to prepare meals anytime you want. Whatever the weather outside, a Dickinson oil stove heats the cabin to a comfortable temperature. Large windows all around the cabin provide unobstructed views so you’ll never miss a strike! A full-size marine toilet in the forward berth allows the utmost privacy any time. Powered by twin Mercury 300-hp Verado outboards, the Timber Wolf cruises at a comfortable 30 knots and delivers you to the fishing drag in no time. The Timber Wolf is rigged with the latest Furuno fish-finding equipment as well as radar, GPS and Nobeltec chart-plotting capabilities. And you’ll never run dry with onboard capacity for 50 gallons of freshwater, 30 gallons of stove oil and 209 gallons of outboard fuel. One trip on the Timber Wolf and you’ll definitely be hooked!